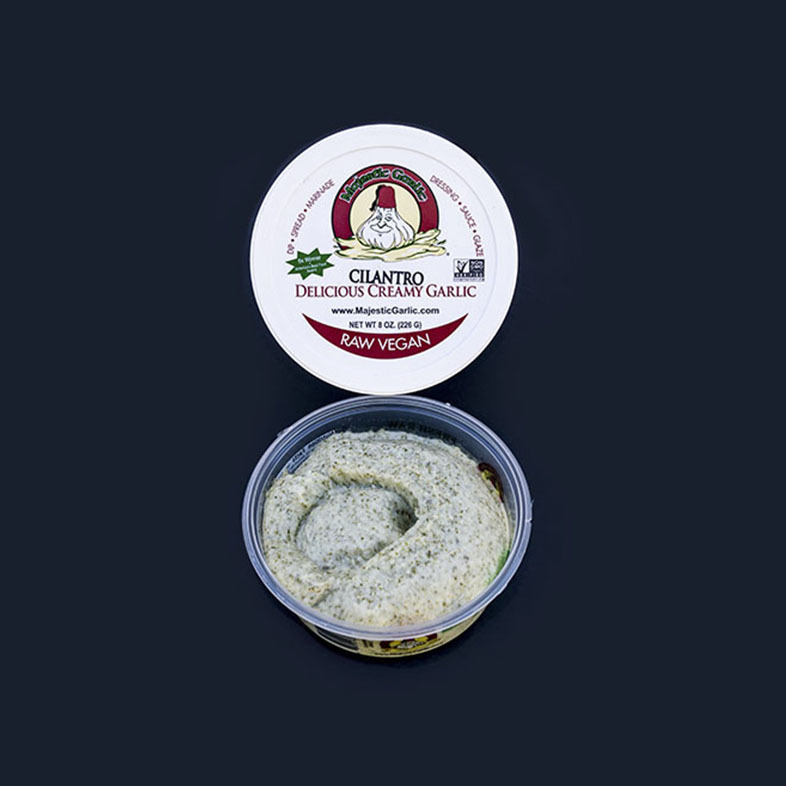 We added organic spinach to a classic favorite, our jalapeño garlic spread. It has just the right amount of heat to bring that extra kick to your favorite dishes. The addition of spinach creates a silky smoothness, almost unnoticeable in flavor, while still boosting the nutrients in this classic. Try spreading Majestic Garlic Spinach Jalapeño spread over your omelette, avocado toast, or using it as a healthy replacement for sour cream in your fajitas, and breakfast tacos. It makes a delicious and nutritious substitute for mayonnaise. 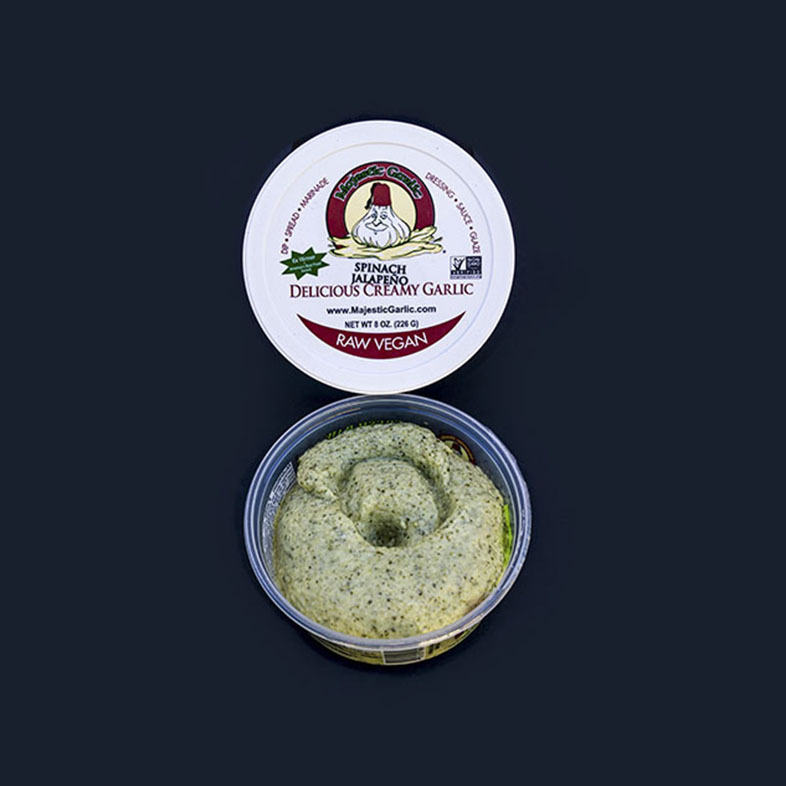 Majestic Garlic spread is made from 100% USA organic fresh raw garlic, organic cold milled flaxseed, organic safflower oil, organic sea salt, and fresh lemon juice in our Spinach Jalapeño Garlic.